Claudia T. Salomon is a leading practitioner in significant investor treaty arbitration and international commercial arbitration cases under the AAA/ICDR, ICC, ICSID, LCIA, Stockholm, UNCITRAL and Vienna rules, around the world, under a wide variety of governing laws. 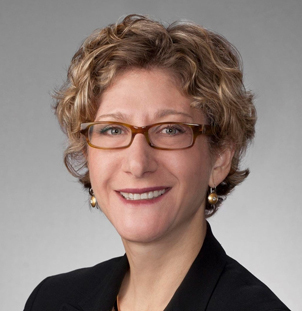 Ms. Salomon has litigated in connection with arbitration, including enforcing arbitral awards worldwide and obtaining emergency relief, and she regularly advises on the drafting of arbitration agreements. She has also handled all phases of US federal and state court litigation, including evidentiary hearings, motion practice, emergency relief, appellate practice and ADR proceedings. The Global Arbitration Review has named Ms. Salomon one of the world’s top 30 women in international arbitration and one of its “45 under 45” in international arbitration. Chambers USA: America’s Leading Lawyers for Business cites her, noting that clients describe her as “a fantastic lawyer who is a key driving force behind the firm’s growth in international arbitration.” She is included in the International Who’s Who of Commercial Arbitration, where she is one of only 532 commercial arbitration lawyers worldwide recognized by that publication, and in the International Who’s Who of Business Lawyers and the Guide to the World’s Leading Women in Business Law. In 2005, Ms. Salomon won a Burton Award for Legal Writing Excellence for her article analyzing the major international arbitration rules. Ms. Salomon serves on the ICC Commission on Arbitration. She also served on the ICC Taskforce on Reducing Time and Cost in International Commercial Arbitration and as chair of the Young Arbitrator’s Forum (the US chapter of the ICC). US company in an ICDR arbitration arising out of the sale of a Peruvian subsidiary, involving claims of $300 million. US subsidiary of a Brazilian state-owned energy company in an ICC arbitration venued in New York, involving the supply of a rig. South American petrochemical company in an international arbitration involving a $2 billion project. Omani state-owned port in an ICC arbitration venued in Muscat, Oman, in a claim involving a sub-usufruct agreement. Concessionaire in an ICC arbitration in London against a Central American country involving the construction of a toll road. Investment firm in an ICC arbitration in London against a Caribbean country involving the privatization of the telecommunications industry. US nonprofit organization in an ICC arbitration in Mauritius against an African company involving the sale of commodities (including in 1782 proceedings in the US). US real estate developer in an ICC arbitration in Mexico involving a resort. Spanish telecommunications company in an ICC arbitration in Madrid against a Portuguese company involving a sale purchase agreement. US franchisor in an ICC arbitration in Singapore against an Asian franchisee involving breach of contract claims regarding royalty payments. Chinese shipyard in an ICC arbitration in Paris against a German shipping company involving breach of contract claims. Japanese electronics company in an AAA/ICDR arbitration in New York against a US company involving an OEM agreement. Austrian citizen in an ICDR arbitration in New York involving US securities claims. US real estate development in an ICDR arbitration in Mexico. Thai refinery in an ICDR arbitration in New York against a Chilean mining company. US company in an ICDR arbitration in Korea involving breach of contract and trademark claims. Hong Kong electronics manufacturer against a US company in an international arbitration under the ICDR rules involving breach of contract claims. Indian telecommunications company in an LCIA arbitration venued in Singapore brought by a Japanese company (and related attachment proceedings brought in aid of arbitration). Italian company that invested in a Hong Kong technology company in an LCIA arbitration in London involving breach of contract claims. Czech subsidiary of a US company against another Czech company in an UNCITRAL arbitration in Vienna involving a dispute over the ownership of patents. Greek telephone company in three arbitrations before a single tribunal in Zurich under the UNCITRAL Rules involving the privatization of an Eastern European telephone system. Slovak company against a Finnish company in an international arbitration under the Vienna Rules in a construction contract dispute. US defense contractor challenging the enforcement of an ICC arbitration award governed by Qatar law in the US and seeking to vacate the award in Paris, France. Korean contractor seeking to vacate the injunction precluding the draw on a performance bond and in the related ICC arbitration in Geneva against a subcontractor involving a contract governed by Korean law. Austrian investor in an ICSID arbitration against Bosnia for approximately $40 million involving a supply contract. US investors in an ICSID arbitration against Ukraine involving poultry contracts. Czech Republic in an UNCITRAL arbitration brought under the bilateral investment treaty between Germany and the Czech Republic concerning ownership of a golf course. Czech Republic in an investment treaty arbitration for over $50 million brought by a German investor under the UNCITRAL Rules involving water rights. Czech Republic in an investor treaty arbitration and related international commercial arbitration under the UNCITRAL Rules involving $5 billion worth of claims arising out of the failure of a large bank. Czech Republic in a $30 million investor treaty arbitration under the Stockholm Rules arising out of the issuance of GSM mobile telephone licenses. Georgia (country in the Caucasus) in a $350 million ICSID arbitration brought under the BIT between Greece and Georgia and the Energy Charter Treaty involving oil and gas pipelines. Georgia (country in the Caucasus) in a $350 million ICSID arbitration brought under the BIT between Israel and Georgia involving the Trans-Caucasus pipeline. Georgia (country in the Caucasus) in an $120 million ICSID arbitration brought under the BIT between Italy and Georgia involving the largest steel plant in the former Soviet Union. We obtained the dismissal of almost all of the claimants’ claims. Spanish investors against a Central American country in a potential international arbitration under the UNCITRAL rules involving the construction of a toll road. US investors in a potential CAFTA arbitration against a Latin American country. Swiss bank regarding potential investment treaty claims.